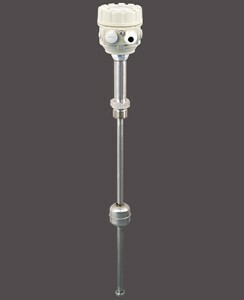 NIVOTRACK magnetostrictive transmitters are an ideal solution for high accuracy measurement of clean fluids. Its high precision renders the NIVOTRACK suitable for custody transfer measurement of liquids such as fuels, solvents, alcohol derivatives etc. Units with flexible tube do not only make this accurate measurement for higher tanks possible, but offer a more convenient way for shipment and installation. Plastic coated versions of the NIVOTRACK substantially expand the field of application by a wide range of aggressive materials. Integrating the transmitter into a process control system is easy thanks to the intelligent signal processing and communication software as well as the wide of range of accessories offered.